So maybe don't give me cold shoulder before you go turn around. Let me hold you. 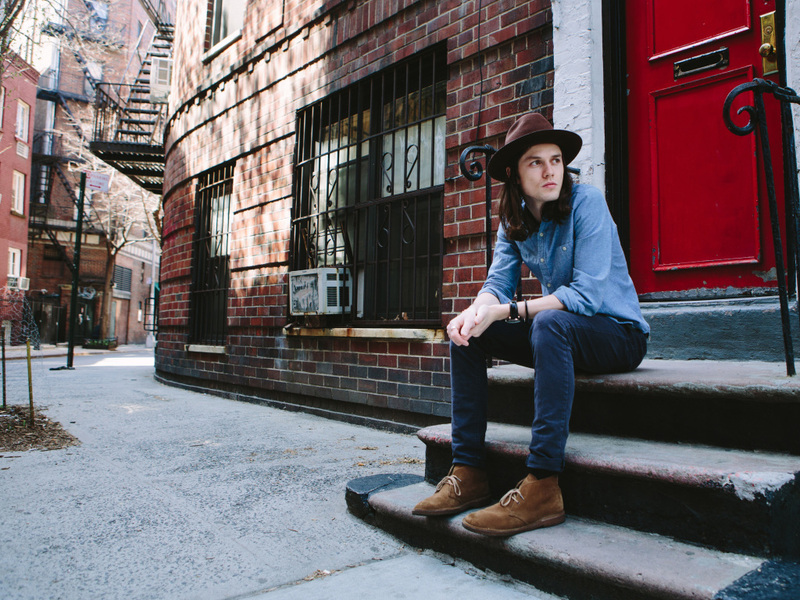 James Bay is a 22 year-old artist who possesses that untarnished strain of talent that many newcomers lose as they develop over time. His raw expressions and graveled voice work in a magical unison that captivates audiences and strips pop melodies back to a skeletal efficiency. Bringing his own twist to the music of his heroes Carole King, Crosby, Stills & Nash, Jackson Browne and James Taylor, James Bay is a young singer-songwriter hailing from the small town of Hitchin in the UK, who has already gained a great reputation thanks to stints at London's Blue Flowers club, supporting Laura Mvula, and the Communion monthly night at Notting Hill Arts Club. His debut acoustic EP “The Dark Of The Morning”, for Republic Records, was released on July 22nd via iTunes and all digital outlets. It was preceded by the first single "Move Together", released on June 3rd. Even though he's only 22 years of age, Bay possesses the wisdom and craft of a veteran songwriter. His stark delivery adds raw power to the stripped-down five-song collection's acoustic strumming, elegant cello, and delicate piano. "Move Together" glides from a plaintive, poetic verse into an unforgettable melody. The lyrics exude a cinematic gravitas, while the music remains evocative of greats such as James Taylor and Carole King. This solo affair stands out as a propos introduction to his style.